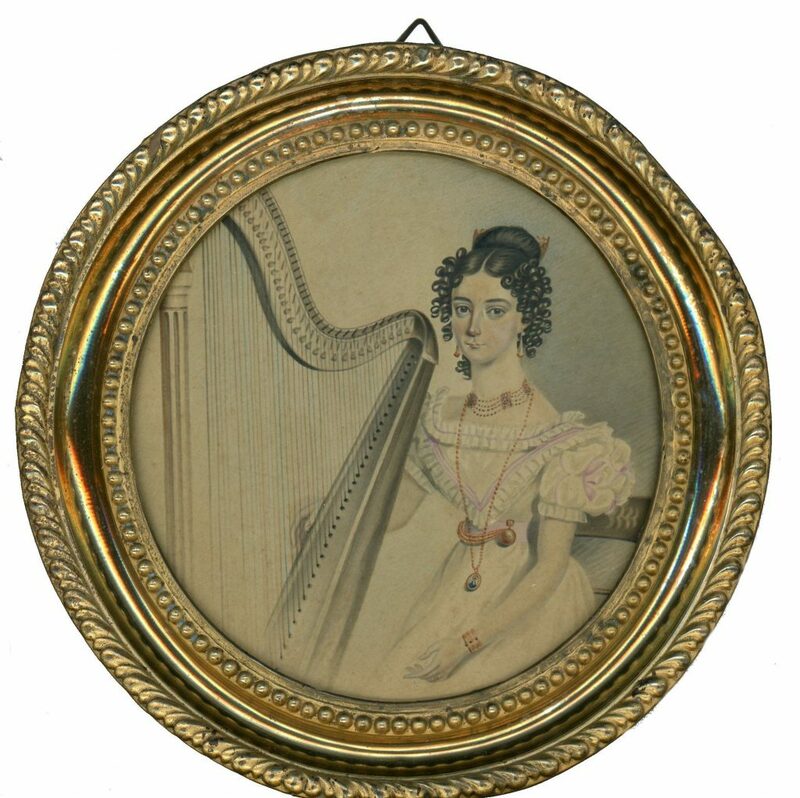 A delightful watercolour portrait of a young lady named Sarah Prior seated playing the harp. Sarah is shown wearing a a pretty white dress with short flounced sleeves, the bodice trimmed with pink. 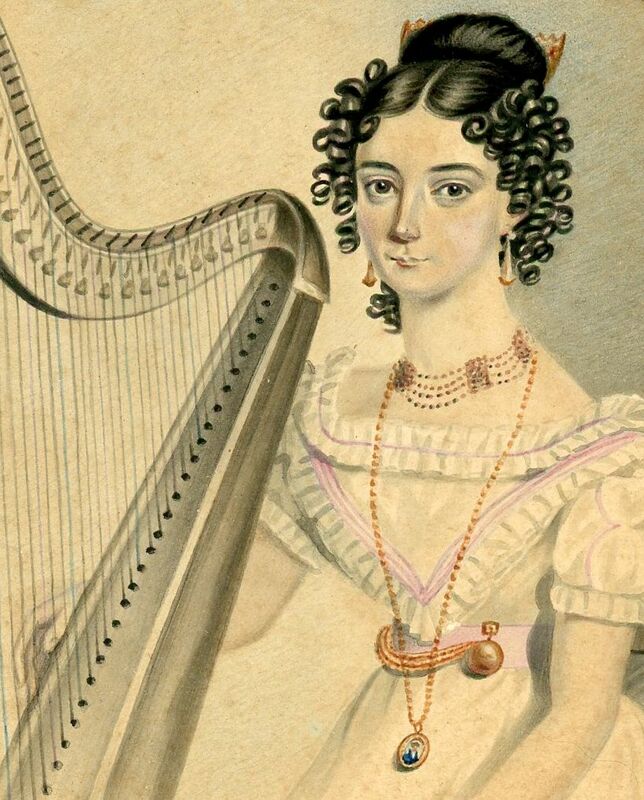 She has also put on all her gold jewellery for the occasion including gold drop earrings, a cuff bracelet, a fob watch on a chain and an ornate necklace as well as wearing a portrait miniature, presumably of her new husband Mr Prior, on a long guard chain. 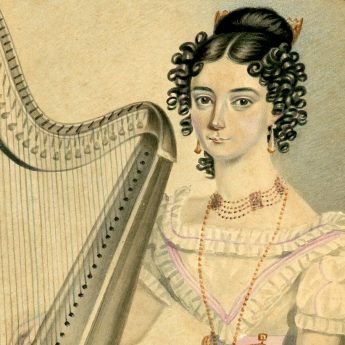 Her dark hair is drawn up into a fashionable knot secured with a large comb with ringlets framing her face. 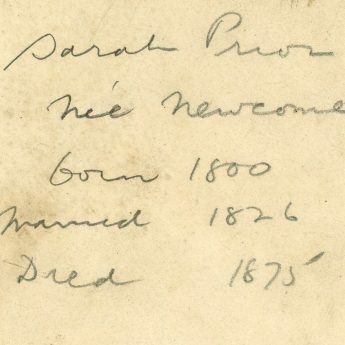 An inscription on the reverse gives her biographical details as: ‘Sarah Prior née Newcome, born 1800, married 1826, Died 1875’. 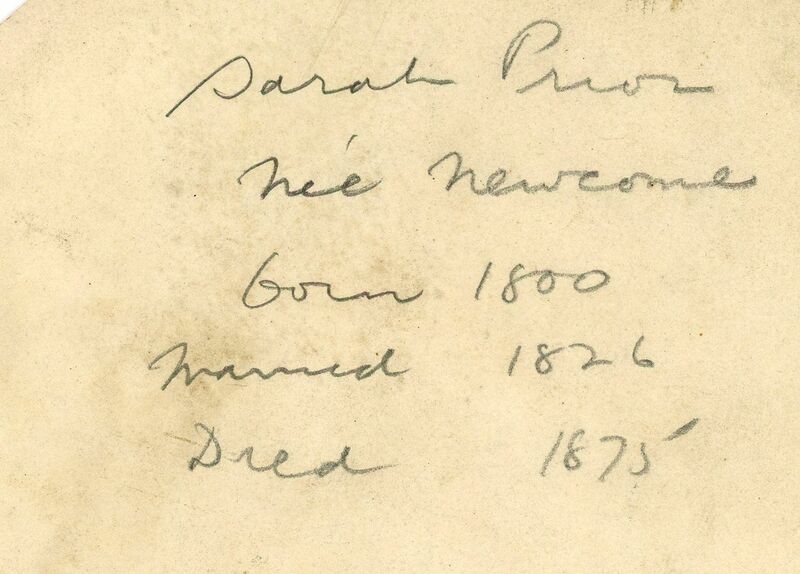 The watercolour is in fine condition. It is presented in a Georgian circular brass-faced frame with a beaded inner border an outer piecrust edging.